NOTE: A video tutorial on backing up your database is available. Backing Up (and Restoring) your database is incredibly simple. Rock Gym Pro can easily be configured to automatically produce a single, encrypted backup file containing your entire database. This file can be placed in any location you specify, and Rock Gym Pro will even delete old files once they get a pre-specified number of days old. Additionally, when you sign up for a Paid Plan, you have the option of having your backups securely stored offsite at no additional charge! And with the offsite backups – should two days go by without a backup being transferred, you’ll even get notified that you may want to confirm that your backup job is working. Make sure you check the Transfer Offsite check box. Be sure you remember your Master Encryption Key, as your database archive is encrypted with this key and you will need the key to restore your database. Voila! In that folder should be a new file containing your entire database, complete with member photos. Using the Windows Scheduler, schedule the Backup Database application in the Rock Gym Pro folder to run nightly. This scheduled task must run as the same Windows user you used to configure your backup settings. If disaster strikes, restoring your database is easy. 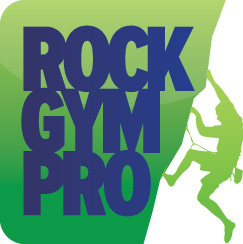 On the computer containing MySQL Server – create a new, blank database using the Rock Gym Pro Configuration Utility. Voila! Your database has been restored. If you are unable to run the backup, it maybe your antivirus software preventing the backup. There are known issues with Trend Micro, McAfee and AVG interfering with MySQL and RGP. We recommend WINDOWS DEFENDER (FREE and standard with Windows) or ESET-NOD32 (Paid) for virus protection software, as there are NO known issues.